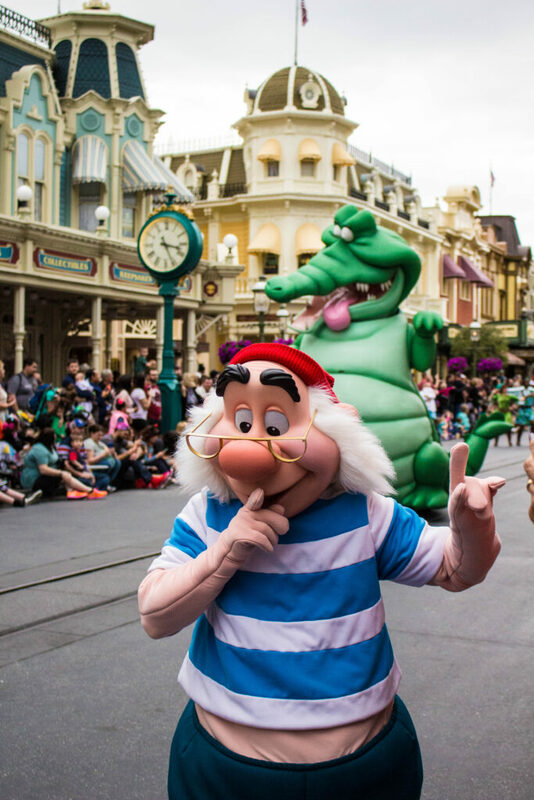 Walt Disney World was purchased as a huge plot of land, which isn’t even close to being filled! 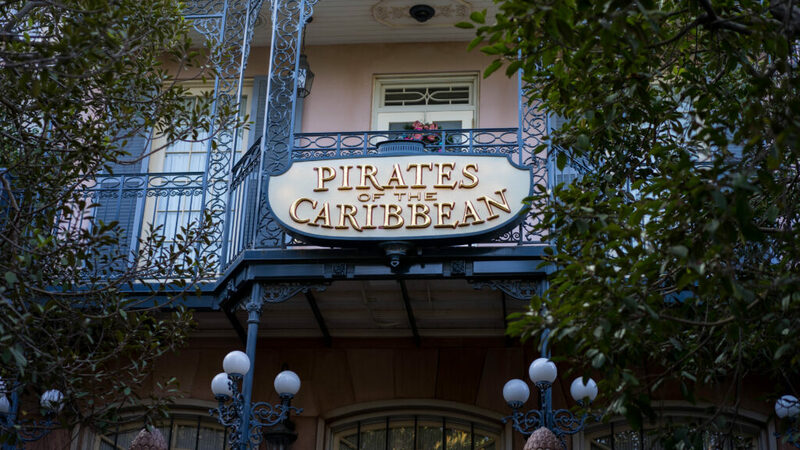 Attractions in both locations: Space Mountain, Splash Mountain, Big Thunder Mountain Railroad, Pirates of the Caribbean, It’s A Small World, Peter Pan’s Flight, Haunted Mansion, Jungle Cruise, The Many Adventures of Winnie the Pooh, Under the Sea: Journey of the Little Mermaid and even more! 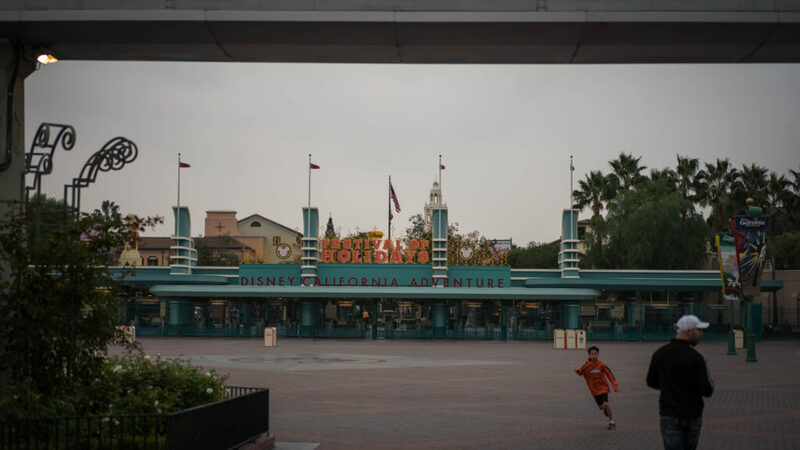 Attractions only in Disneyland Resort: Indiana Jones Adventure, The IncrediCoaster, Mr. Toad’s Wild Ride, Alice in Wonderland, Snow White’s Scary Adventures, Storyland Canal Boats, Radiator Springs Racers, Guardians of the Galaxy: Mission BREAKOUT!, and more! Attractions only in Walt Disney World: Expedition Everest, Seven Dwarfs Mine Train, Carousel of Progress, Test Track, Dinosaur, Mission: Space, Tower of Terror, Rock’n’Rollercoster and so much more! 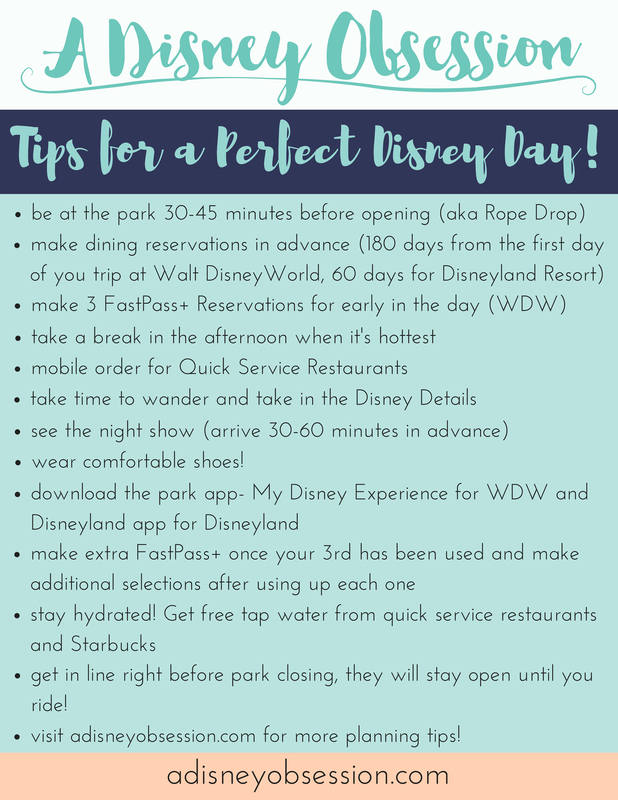 if you are going to a resort that you haven’t been to before, give priority to attractions that are unique, but also make sure to try out the rides that exist on both coasts too! 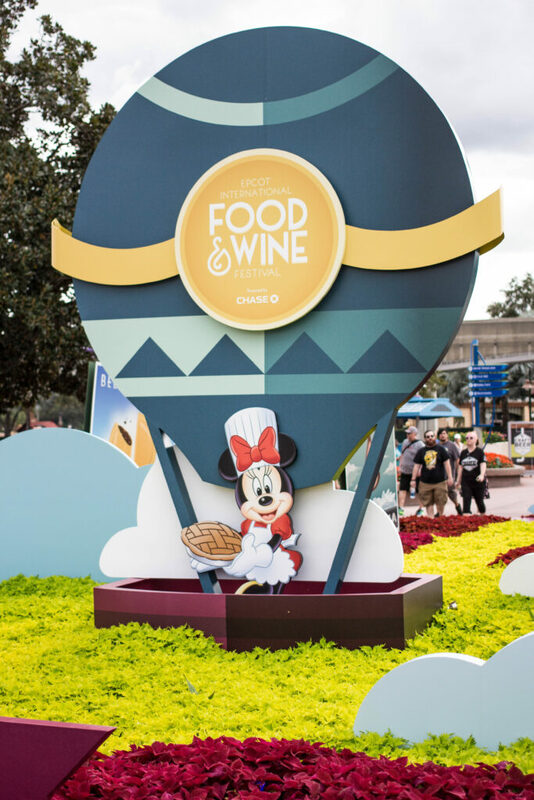 I found there were tons of food options in Disneyland Resort! Walt Disney World parks require transportation between any parks. However you can walk from some resorts to the parks. WDW- transportation methods include bus, boat, monorail (and soon to be gondola). Check out the video at the bottom of the post if you’d like to know what transportation you can get from where! At DLR, you can take part in Early Morning Magic at Disneyland Park when buying a 3 or more day park pass, or by staying at a Disney resort. 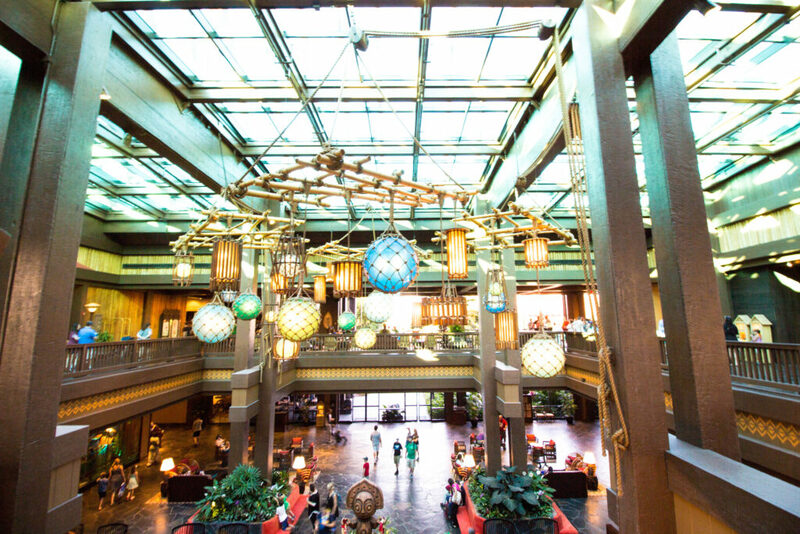 Early Morning Magic is only available at Disney California Adventure for Disney Resort Hotel guests. at WDW, Extra Magic Hours are scheduled in the mornings or evenings every day at a different park for Disney Resort Hotel guests. If you are staying on site, take advantage of these hours! If not, avoid the park with extra magic hours if possible, because it will be busy! at Disneyland Resort, you can see a fireworks show at Disneyland Park (like Remember… Dreams Come True but one is not currently showing), plus Fantastic! And at Disney California Adventure, you can see World of Color. at Disneyland, I would suggest spending 3-5 days between the two parks, and I think with 5 days you can see everything. In 3 days (using MaxPass), I saw pretty much everything I wanted to see! at Walt Disney World, I would suggest spending at least 7 days. And you’re not going to see everything in a week. Not even close! If I had to pick one place to visit, it would be Walt Disney World. That in no way means that I didn’t love Disneyland! 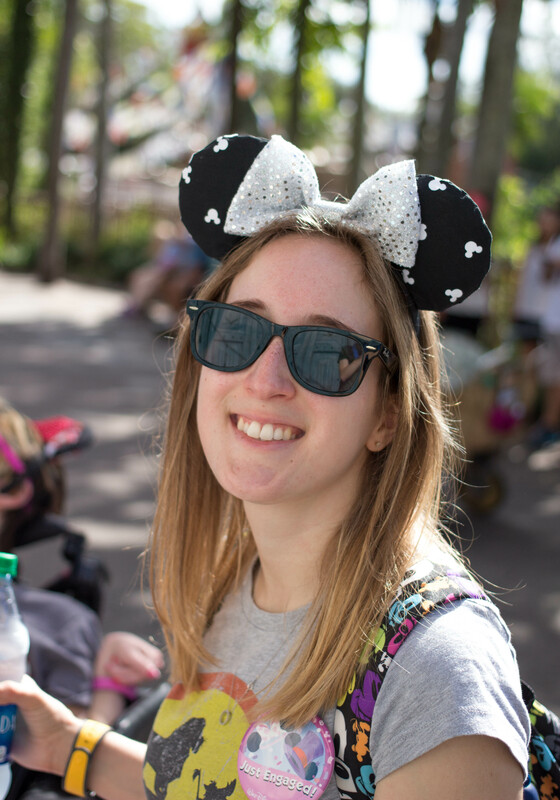 It’s just easier for me to get to, and I have been going to Walt Disney World since I was a kid and it hold a lot of special memories for me! Plus, I got engaged there! If you are a Disney fan, yes! It was really fun to visit a new-to-me park, and especially with it being Disneyland. It was always a place I’d wanted to visit, and I never really thought I would get a chance to see it. But walking in Walt’s footsteps was amazing, and I was so happy I was able to visit Disneyland. 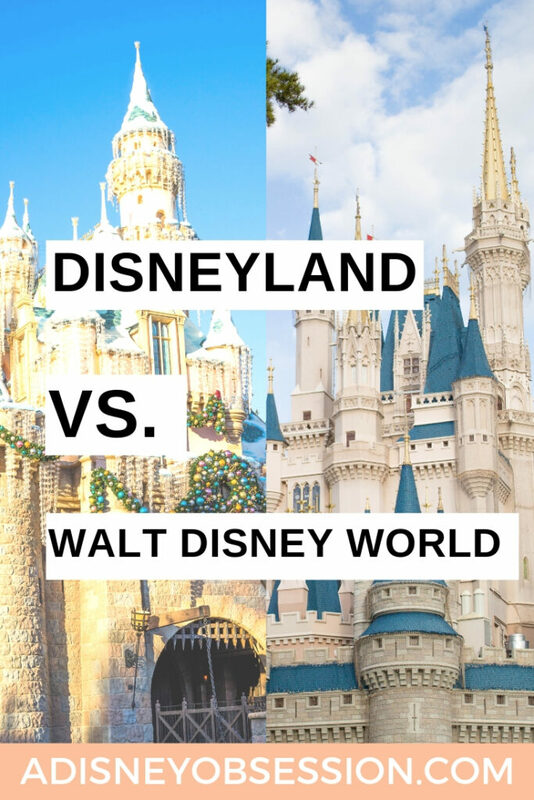 If you’d like to hear more about the differences between Disneyland resort and Walt Disney World Resort, check out the video below! What’s your favourite thing that is in one resort but not the other? Let me know in the comments below!